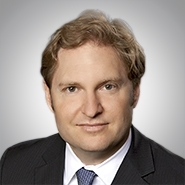 PHOENIX, Ariz. — The national law firm of Quarles & Brady LLP today announced that Phoenix partner Brad Vynalek has been appointed to the Regional Board for Teach For America – Phoenix. The non-profit organization recruits top college graduates and professionals and prepares them to teach in urban and rural public schools, where they work for at least two years alongside other faculty to make a meaningful difference for their students. Teach For America focuses on developing these teachers as leaders in education and other fields as the organization’s alums work across a variety of sectors to expand educational opportunity for students in low-income communities. Vynalek is a member of the firm’s Litigation & Dispute Resolution Practice Group. He serves as a counselor and advisor on strategy, exposure, and enterprise opportunity for clients ranging from local startups to Fortune 500 companies. Vynalek works very closely with law departments to create and manage budgets and create optimal teams for a variety of legal services in the banking, high-tech, Internet, software, manufacturing, transportation e-commerce, health care, higher education, and tech transfer industries. He also serves as a member of the firm's national Executive Committee. Executive Committee members are elected by the firm’s equity partners and are responsible for the management and administration of the firm and for all matters not reserved to the partnership. In the community, Vynalek served as a longtime board member and is a recent past-chair of Make-A-Wish Arizona. He is currently on the board of directors for the Greater Phoenix Economic Council. He has also provided pro bono services for the Volunteer Lawyers Program, Wills for Heroes, and the National Center for Missing and Exploited Children. Vynalek is a past recipient of the University of Arizona James E. Rogers College of Law Distinguished Alumnus Award, and was honored by the Phoenix Business Journal in 2015 as one of the “Most Admired Business Leaders in Arizona.” In 2016, he was selected by his peers as one of The Best Lawyers in America® and received the Client Choice Award from Lexology and the International Law Office, which recognizes partners around the world that stand apart for their excellent client service. Vynalek has been named among the top attorneys in Arizona by Southwest Super Lawyers® magazine every year since 2012. Vynalek earned his law degree from the University of Arizona James E. Rogers College of Law, and his bachelor’s degree from Stanford University, and he has also studied abroad through Georgetown University in Prague. Teach For America works in partnership with communities to expand educational opportunity for children facing the challenges of poverty. Founded in 1990, Teach For America recruits and develops a diverse corps of outstanding college graduates and professionals to make an initial two-year commitment to teach in high-need schools and become lifelong leaders in the effort to end educational inequity. Today, 8,600 corps members are teaching in 52 urban and rural regions across the country while more than 42,000 alumni work across sectors to ensure that all children have access to an excellent education. Teach For America is a proud member of the AmeriCorps national service network. For more information, visit www.teachforamerica.org and follow us on Facebook and Twitter.